When the Rock And Roll Hall Of Fame announced yesterday that grunge mainstay Pearl Jam was nominated for admission into its semi-august halls, the organization listed six people as potential inductees: Eddie Vedder, Mike McCready, Jeff Ament, Stone Gossard, and drummers Dave Krusen and Matt Cameron. (Krusen was the band’s original percussionist, while Cameron is a current member.) That list left off three former Pearl Jam members, all drummers. And while Jack Irons, who played on Yield and No Code, has already been inducted for his work as the founding drummer of the Red Hot Chili Peppers—and Matt Chamberlain was only with the band for a short while, back in in 1991—Dave Abbruzzese has expressed his ire at being left off the list. 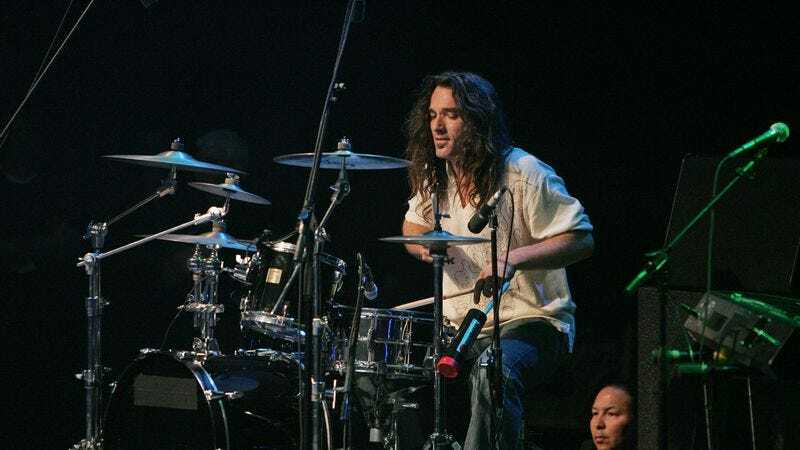 In terms of musical influence, it’s not hard to see Abbruzzese’s point; he joined the band while it was still touring off of its debut album, Ten, and appeared on Vs. and Vitalogy, with the former one of the best-selling albums of all time. His drums appear on hits like “Rearviewmirror” and “Better Man,” along with numerous others. Abbruzzese was fired from Pearl Jam in 1994, owing to personality conflicts, especially over his opposition to the band’s bitter boycott of Ticketmaster throughout the mid-’90s.